I was at my LFS earlier today and found they sell Omega One fish foods. They had a few different varieties and a bunch more that i didn't focus on. I didn't know you could get your hands on Omega One fish food in Australia. I bought the freshwater flakes 62gm for $12! Great price. If your ever in the Campbelltown NSW area check out Golden Aquarium. Used to use Omega one foods years ago & it was very good for fish colour. Then it disappeared off the market. Emailed them couple years ago & they said some of the ingredients they use were no longer allowed to be imported into Australia. Just curious what is the use by date on your 62g freshwater flakes? Hopefully its been reintroduced on Aussie market . I didn't know they were sold in Australia originally. I always thought it was only ever sold in USA. I couldn't find an expiry date on the bottle I checked everywhere but nothing to be found. At one time Omega one was in just about every Aquarium shop & online in Australia. One of the best brands i have used & not expensive. .My fish at the time were show class pure breeding Guppies & their colours & health were amazing. Impressive list i would say! Last edited by HBH; 20-06-18 at 09:52 AM. I might look at getting another type of Omega one and use them exclusively now. 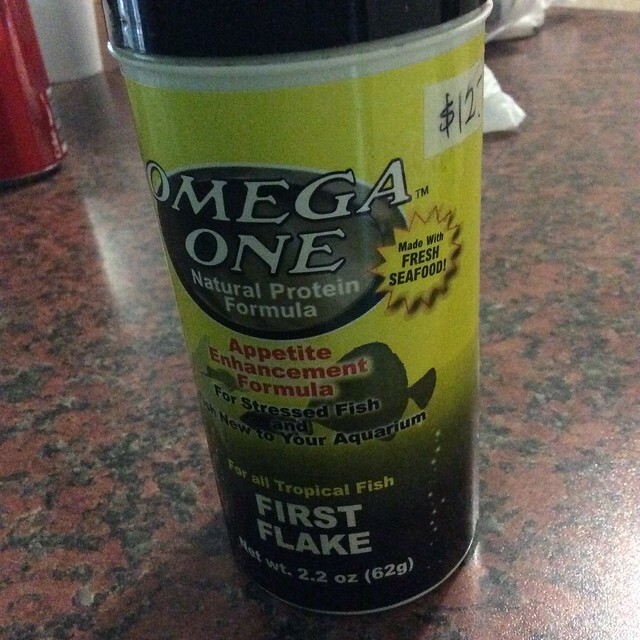 The first flake Omega one i have has all those ingredients listed above except whole krill. But still pretty good and the price is excellent. Emailed Omega one last night & got this reply.....so not sure how that Aquarium shop has new stock.. Unfortunately, we are still unable to get our products to Australia. However, New Zealand can obtain Omega One products. I'm not sure how easy it is to get there, it's just the closest place. Also, our products have a 3 year expiration date. I think some people have been importing some fish foods personally, which technically may not be legal to import due to ingredients, I was able to get some Repashy Soilent Green from a seller even tho Repashy told me directly it could not be imported into AU. Yeah i think your right. I believe the owner of the store is Canadian or American so they may have family that sends it over. Either way this product should be sold back in Australia again! I think they liked it. Normally when i feed them new life spectrum there is usually some flakes still floating around but i noticed today majority was eaten. I need to go back and find something else to feed along with the flakes.